A job where you make a lasting difference in someone else’s life isn’t a job at all—it’s a purpose. Below are the available job opportunities at The Arc San Francisco. Please click on the position you are interested in learning more about and follow the directions to apply.  The Arc San Francisco is a well-established nonprofit serving people with autism, Down syndrome, cerebral palsy and other developmental disabilities since 1951. The Arc is an equal opportunity employer.